On the eve of the “Arab Spring,” an Egyptian filmmaker sets out to capture the soul of Cairo through moving images randomly shot on the bustling streets. To these short portraits, Khalid mixes in interviews with his departing girlfriend and with an acting teacher who remembers another Egypt, now erased. 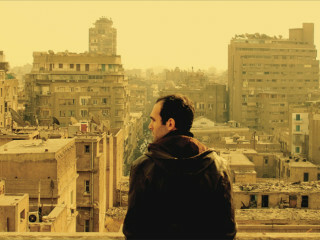 His fellow filmmaking friends from Beirut, Bagdad, and Berlin agree to collaborate by sending images of their own cities. The four men all share an overwhelming sense of loss at what they thought their cities were. Combining documentary footage with his fictional narrative, El Said brings us a very provocative portrait of what is now happening to cities and communities worldwide.